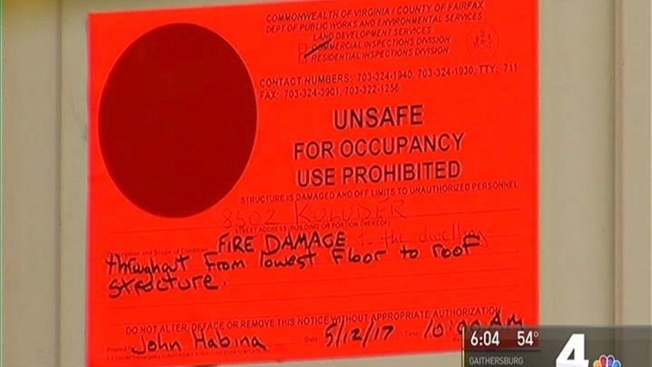 A fire that officials are calling suspicious tore through a townhouse under foreclosure in Lorton, Virginia, Friday morning, destroying that house, damaging two neighboring homes and displacing two neighbors. The man who lived in the home, which is located on the 8500 block of Koluder Court, was not there at the time of the blaze and has not been seen since. 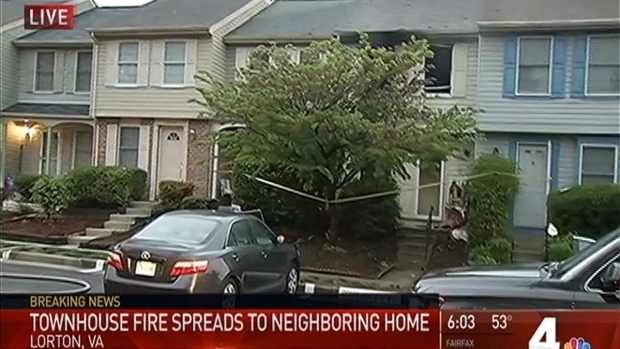 Fairfax County fire officials said the fire was suspicious but declined to elaborate. Several neighbors told News4 they saw the resident packing up the night before. A fire tore through a townhome under foreclosure in Lorton, Virginia, Friday morning, destroying it and damaging two neighboring homes. "He packed his stuff, and he was putting it on his truck. I asked him if he was moving and he said, 'No, we're not,'" one neighbor said. He asked that News4 withhold his name, for his safety. The owner of the home was an officer at the Pentagon until last year, an official there confirmed. His house is under foreclosure, records show. Fairfax County firefighters were called to the house about 1:45 a.m.
At least one family was displaced by a fire that damaged two townhomes in Lorton, Virginia, overnight. "It felt like an explosion. The whole house shook," one neighbor said. Cellphone video from a neighbor shows flames shooting through the roof. 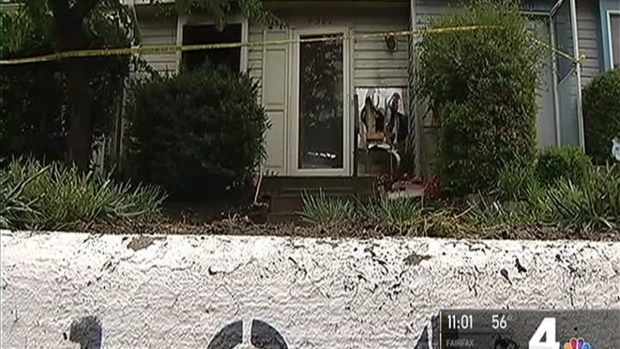 No one was injured, but a family in a neighboring townhouse was displaced by the damage. A third home also was scorched by the flames. The house that caught fire is a total loss, with about $219,000 worth of damage. The cause of the fire is under investigation. Neighbors are suspicious. "The stories that I've been hearing, the suspicions people have..." neighbor Brianna Williams said. "It's not just an accident."